I'm as meticulous and persnickety in my search for the perfect snack as I am in my search for the perfect dayplanner, or the perfect pair of jeans, or the perfect couch. There are a lot of couches that are the right color but not the right, you know, cush, a lot of dayplanners that are the right size but not the right layout, a lot of jeans that are the right length but not the right wash.
Don't even get me started on snacks. - Is crunchy (but a little bit smooth). - Is sweet (but not too sweet). - Is something I can pick at mindlessly while I'm reading or writing or drawing. - Is ready right now. So anyway, I've found it. Barclay thought it up out of his beautiful brown brain. 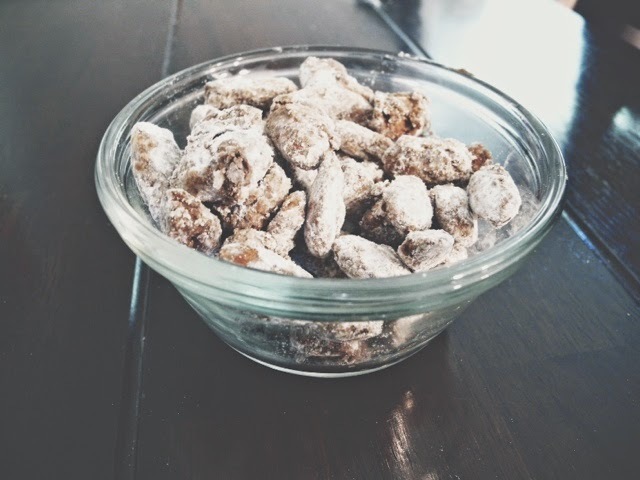 It's sort of a modified version of puppy chow but it's healthier and faster and requires half the ingredients so I'm attributing it to him and hereby naming it: Frosty Poops. I literally can't think of a better name. I'm sleep deprived and when I look at these things all I can think to call them is Frosty Poops. They just look like frosty poops. 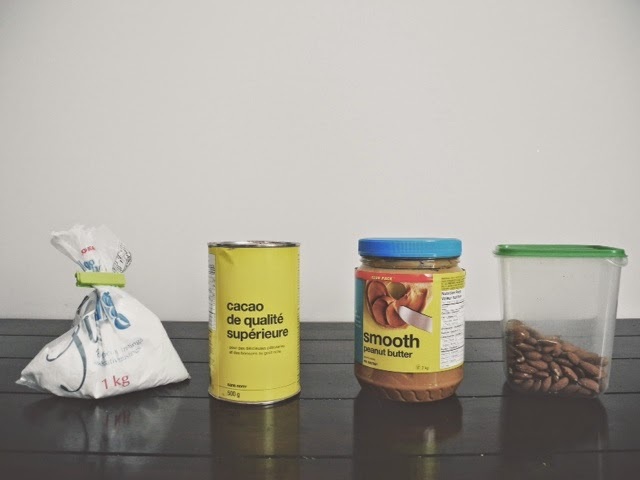 You melt a [big, huge] tablespoon of peanut butter in a bowl in the microwave. You stir in a [wee] teaspoon of cocoa. 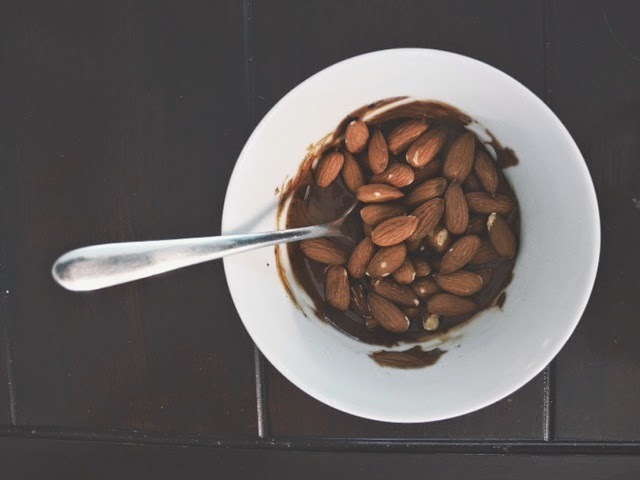 You dump in a handful of almonds and stir. You dump icing sugar in and stir so it coats the chocolatey almonds. See? Frosty poops. But I could eat them all day long. They fulfill every snacking requirement I've ever had. Besides the aesthetic ones, obviously. Oh well. Frosty poops all day every day.